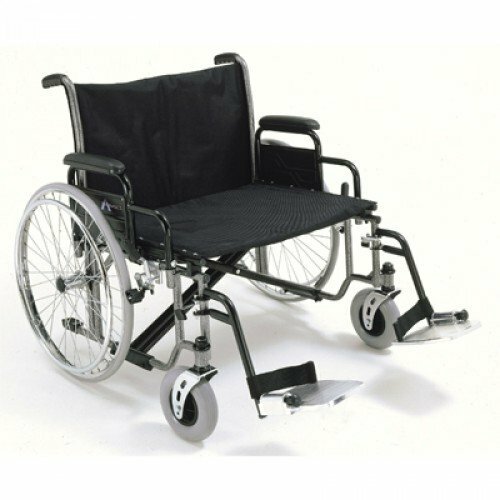 ProBasics Extra-Wide Wheelchair by Invacare is a rugged and heavy-duty bariatric wheelchair designed to offer comfort and reliability during use. The detachable desk-length arms make transfers more convenient, while the large spoke wheels with high strength M15 axles add strength and durability. 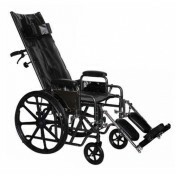 ProBasics Extra-Wide Wheelchair features a mid-position slide post that adds strength and stability. The chair easily folds up for ease with transport and storage. 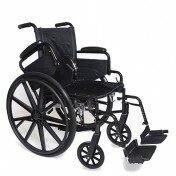 Optional elevating legrests and swingaway footrests also available for added convenience and comfort. 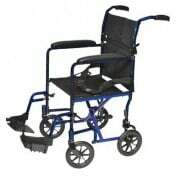 Vitality Medical also carries other items that would pair well with the ProBasics Extra-Wide Wheelchair, such as Above the Ankle Skid Resistant Tread Sock and the Non-Slip Jar Opener by Dycem. 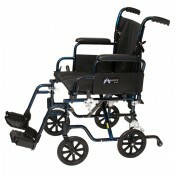 Easily Converts to Hemi-Height (19" Seat-to-Floor Height). 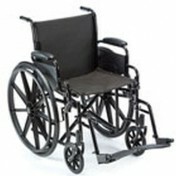 Heavy Duty Reinforced Frame Comes With Gusseted Side Frames, Castor Journals, Dual Crossbraces and 5/8" Rear Mounted Axle. Mid Position Slide Post Adds Strength and Stability. Folds Easily For Convenient Transport and Storage. 8" x 2" Caster Tires With Positive Thread Pattern. Heavy Duty Reinforced Upholstery With Extra Heavy Duty Liner. Weight Capacity of 700 lbs.